Full disclosure before we start: I’ve gone back and forth in my own head about whether writing this column would even be possible for me. As many of you know, I take a great deal of pride in my fake position emeritus here at KFS. If I’m putting forth something that purports to be quasi-analytical, I try to take all sentiment out of it. When I came up with this idea, I wasn’t sure I could be unsentimental about a subject as near and dear to my heart as Frank Ntilikina’s possible future (or lack thereof) with the New York Knicks. 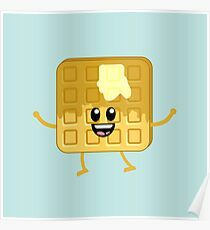 I waffled. It wasn’t because I didn’t think I could be objective about the benefits and drawbacks of trading away my favorite player the team has had since they were a perennial playoff contender (look it up, kids). Three years of law school taught me how to take emotion out of any scenario and to hone my focus on the facts1sadly that’s about all it taught me. No, the issue here went much, much deeper. That I adore Ntilikina so much wasn’t the problem; it’s why I adore him that was giving me pause. A quick aside: throughout my lifetime, I’ve been privy to very little successful basketball from my hometown team. During those rare periods, the point guards have been Derek Harper and Charlie Ward, and then later, Jason Kidd and Raymond Felton. Those four had very little in common…with one notable exception: they couldn’t care less about whether they filled up the stat sheet on any given night (with the possible exception of Felton, who enjoyed putting on a good stink face every now and again). When I watch Frank Ntilikina play, I know full well that he’s not in Group B (Marbury/Francis). In my mind, therefore, because he’s a high draft pick, a hard worker, and by all accounts a good kid, he must be in Group A – a player who someday will help the team win games. What I haven’t given nearly enough consideration to, and what many intelligent fans genuinely believe, is that it’s just as likely he ends up in Group C: Dumpsterville. With trade chatter on the horizon and enough evidence to wonder whether the organization is sold on the young Frenchman, I was forced to look long and hard about whether my reasons for elevating Frank to the higher of the two categories was valid, or simply wishful thinking. Before I even got there though, I had to acknowledge the mountain of evidence on the other side…and oh boy, does this thing give Everest a run for its money. For starters, there are currently 173 players in the league averaging over 20 minutes a game that have a usage rate over 16. Of those, Frank Ntilikina’s true shooting percentage ranks dead last. That seems bad. It gets worse. For the second year in a row, Frank has attempted fewer free throws than games he’s appeared in, so it’s not like he’s getting easy points in the wake of his shooting struggles. It’s also not like his lower percentages have come as the result of an uptick in volume, as he’s taking roughly the same number of field goals per 36 minutes (11.3, compared to 10.6 last season). While his turnovers have dropped, so have his assists. Statistically speaking, he is essentially the same player as last year. The advanced stats don’t make the glasses any rosier. Entering play on Thursday, Ntilikina was tied with Kevin Knox for the worst on court net rating on the team2he pulled ahead a bit after the Wizards game. Perhaps most troubling, defensively, the Knicks are not much better when he’s on the floor than when he’s off. Ah yes…the defense. Last season, it was the saving grace in every argument for Frank Stans like myself, but that’s simply not the case anymore. Just going by the eye test, while there have been several moments this year when his disruptive potential has been on full display, there have also been more than a few blow-byes and instances where Ntilikina gets hung up on a well-set screen. The roster around him doesn’t do his metrics any favors, but still, there’s no getting around the fact that he hasn’t taken a leap, and may have even regressed. So with all that acknowledged, what in the hell is left for me to even argue? If I say “keep him” now, isn’t that an admittance that I’m incapable of objectivity where this sweet-faced baby boy is concerned? Maybe…but let’s give it a shot for the hell of it. For one, I’m not maintaining my position primarily due to excuses. Are there reasonable explanations for most of the above? Yeah, and that’s part of it. In a half-season of acknowledged experimentation by Dr. Fizenstein, no one has been taken apart and put back together more than Frank. For a kid with confidence issues, it definitely messed with his head a bit. Since his three consecutive DNP-CD’s, however, he’s shooting 38% from deep with usage and assist rates that more closely resemble other point guards around the league. He’s also had arguably four of the best six or seven games of his career over this stretch. ▪️10 of his 11 shots were from inside the paint. This isn’t the crux of my argument though. Can I also trot out some lineup data that shows Frank can be the hub of an elite defensive unit? Of course. When Ntilikina is paired with Damyean Dotson, a backcourt partner who doesn’t turn into Peter Parker at the end of Infinity War every time he encounters a pick, the Knicks have given up just 104.2 points per 100 possessions. That number would rank fourth in the league3the pair has a dead even net rating overall, a minor miracle on this team, and is the best figure among Knicks pairings that have played at least 400 minutes. That’s also not the reason I’m taking this position. No, the reason I’m still #TeamFrank goes back to the point I started with: he is an anomaly in the modern basketball landscape. Once upon a time, the idea of the unselfish point guard was the norm. Of course there are exceptions throughout NBA history, but by and large, point guards looked to pass first and score second. Allen Iverson changed all that, and now we live in an era where roughly half of the top 40 scorers in the NBA spend a majority of their time running their team’s offense. I know, I know…because the rules have changed to give such a massive advantage to perimeter players – and specifically to ball handlers – if you don’t have a lead guard who can score, you’re fucked. Anyone who says otherwise isn’t paying attention. It’s the reason why David Fizdale has made it his personal holy war to get Frank going downhill, spending less time thinking and more time acting. If you’re a guard in today’s game who has the ball and isn’t either penetrating a defense or pulling up from deep, you’re doing your team a disservice. It’s taken a while, and the results have been inconsistent, but we are seeing results. That, coupled with a shooting stroke everyone seems to think will eventually yield results4it bears repeating that if you take out the 16 game stretch where he couldn’t throw it in the ocean, Ntilikina is a 40% shooter from deep on the year, should equate to a player who can handle the ball and give you just enough on offense to keep defenses honest. This is the point when critics ask the obvious question: why the Knicks should settle for a player who gives you just enough? The counter: having a ball handler content with doing just enough is not only a rarity in today’s game; it is a gift. In case you haven’t noticed, stars like having the ball in their hands. Is it a coincidence that Kristaps Porzingis has angled behind the scenes for Frank? Maybe, maybe not. Does Frank’s continued presence on the team mean that Kevin Durant is a fait accompli? In your dreams…but on a team that already has one ball dominant fixture and another likely to come in the draft or free agency, either this year or next, would it be the worst thing to have an unselfish pass-first guy on the roster? Not if he was always going to be the hapless offensive player we now see before us, but that’s where it bears repeating: Frank Ntilikina is still 20 years old. There are very few Luka Doncic’s or even De’Aaron Fox’s in the world – guys who “get it” within their first year or two. Several seasons of struggle is far more common. Even Donovan Mitchell and Jayson Tatum, each of whom lit the world on fire as rookies, have had their issues this year. Those struggles have paled in comparison to the ones Ntilikina has faced, but that was always the expectation going in. This was never supposed to happen fast. If anything, you could argue that his exploits early last season gave us all unrealistic expectations for how this would go. The roller coaster ride we’ve seen since then is more par for the course, at least as far as pre-draft expectations go. And despite all that logic, can I sit here and tell you that if Ntilikina was the 22nd or 18th or even the 16th pick in the 2017 Draft, and not the 8th pick, I’d still be a devout believer? Of course not. But his pedigree has to factor into the equation just the same. So yeah…that’s where we are. If you asked me right now to bet on whether or not Frank will still be on this team in three weeks, even odds, I’m probably saying yes…but not with much conviction. My gut tells me the organization might be siding with the skeptics, and that they’re trying to use whatever mystery is left surrounding the kid as one last chance to sell high. Maybe they’re right to do so. What they see behind the scenes trumps anything me or any other observer can posit. I still wouldn’t. Being the cement to hold together any foundation is a thankless job, but every great team has a guy willing to do it. Maybe we found ours, maybe we didn’t. Here’s hoping that three weeks from right now, it’ll still be our question to answer.